This is the story of how I ended up in Israel last month, for free, with a group of 40 other young people I was sure I’d hate. You know what, though? This hardly ever happens: I was wrong. I applied to Birthright back in February, having never seriously considered it until I realized it was my last year of eligibility. Kind of like eating the rest of the yogurt because the expiration date is tomorrow, but with international travel. Competition is pretty stiff, but they tend to give you priority if you’re about to age out. 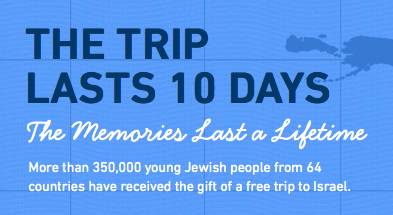 Here’s how it works: there are a bunch of independent trip organizers (like tour companies) that actually handle the trip itself and receive their funding from Taglit. Depending on your religious and social inclinations, you can select whichever organizer floats your boat. There are religious organizers, secular organizers, LGBT, regional, fraternity/sorority, culinary, outdoorsy, etc. Hoping my trip would be hiking-intensive,1 I applied through Israel Outdoors which is–as the name suggests–the outdoorsy one. And a few weeks later, I was offered a trip! Late on a Monday afternoon, I hopped (well, limped) onto a train to New York. Trained by a lifetime of hiking, road trips, and international travel, I’d managed to fit everything into a backpack and small duffel, with room to spare for souvenirs. I tried not to take it as a bad omen when my brand new travel adapter failed and my phone slowly began to drain. I read a book. I ate trail mix.3 I made friends with the woman sitting next to me, who lent me her charger from New Jersey to New York. And then it was rush hour at Penn Station. Having never taken the Long Island Railroad, I hobbled through the station until I found an elusive green ticket machine and boarded a commuter train full of the grouchiest people I’ve ever seen. Then on to the AirTrain, which I remembered from our transatlantic cat ordeal last summer. And finally, JFK airport. It was immediately clear where I was supposed to go, since one side of the room was occupied by 20-something 20-somethings with more than their collective weight in luggage. I sighed. I rolled my eyes. I walked over and filled out a silly name tag. I made a half-hearted attempt to smile at anyone who looked at me. I signed an alcohol policy that I’m pretty sure I saw six years ago during my first year of college. And then we waited. I chatted with some tired-looking English tourists who were definitely not part of our group. I checked in and got my boarding pass. (“Whoa, you’re not checking any bags?” The Delta employee grinned, happy and relieved.) I introduced myself to a few people whose names I was sure I’d never remember, even with the name tags.4 The blonde physical therapist with the tired smile. The earthy hippie type with messy hair and a backpacking backpack. A tall, redheaded guy who was smiling and talking with everyone like he hadn’t just traveled all day from god knows where to be stuck in an airport for four hours with 40 strangers. The trip leader who already looked disappointed in us. I turned back to the English tourists, but they’d dozed off. And then we waited some more. Finally, we were given permission to board and learned our first lesson about free time on the trip. “Time to board! It’s… 8:15. You have an hour to go through security and get dinner. Meet at 9:15 at the gate.” Have you ever been through security at JFK? During the 45 minutes we were in line, I met another name-yet-to-be-remembered group member who went to school in Portland but wasn’t-a-hipster-actually-what-is-a-hipster-who-defines-that-anyway-aren’t-we-all-a-little-hipster, chugged my water (which I’d forgotten to empty), and spent some time reconsidering my life choices. In lieu of a 15-minute dinner, I scoured the terminal for a new travel adapter, which I eventually found for a whopping $35 from the only extortionist stand still open at that hour. My broken one, if anyone cares, cost $7.99, had rave reviews on Amazon, and traveled with me–useless and stuffed into the bottom of my bag–across Israel. I arrived at the meeting place just in time to form a circle, summer camp style, and talk about our feelings. This was not, I regret to inform you, an isolated event. Name, hometown, goals for the trip. Many of my group members had goals like, “Make new friends!” “Eat hummus every day!” “Make more friends!” I figured I’d be lucky if I didn’t re-injure my ankle or slap a roommate in the mouth. I couldn’t say that, so I went with: “Learn something new every day” “Eat good food” “Cultural exchange” “Stay safe”. The circle of feelings and icebreakers continued until boarding time. I did some ankle exercises. Those who’d had time to buy food wolfed it down in between trivia questions and Hebrew lessons. I chose my roommates (rather, they chose me) before the plane even took off. The plane ride was uneventful and long. When the plane entered Israeli airspace thirty minutes before landing, we were confined to our seats.5 More ankle exercises. With nothing to do at the baggage claim in Tel Aviv, I babysat a ukulele for a girl from Idaho who had to pee. Later, we sat together on the bus and chatted all the way to Tiberias, in the north of Israel.6 I even remembered her name, which sounds impressive but isn’t, because it was Dove Rainbow. We learned her middle name later in the trip, but I don’t want to ruin the surprise. I was exhausted, impatient, and in sore need of alone time, but I had a new friend who didn’t think I was the world’s most horrible human. I have a feeling I am going to enjoy reading the rest of this if this first entry is any indication. Looking forward to the rest. I love this! Can’t wait for day three!